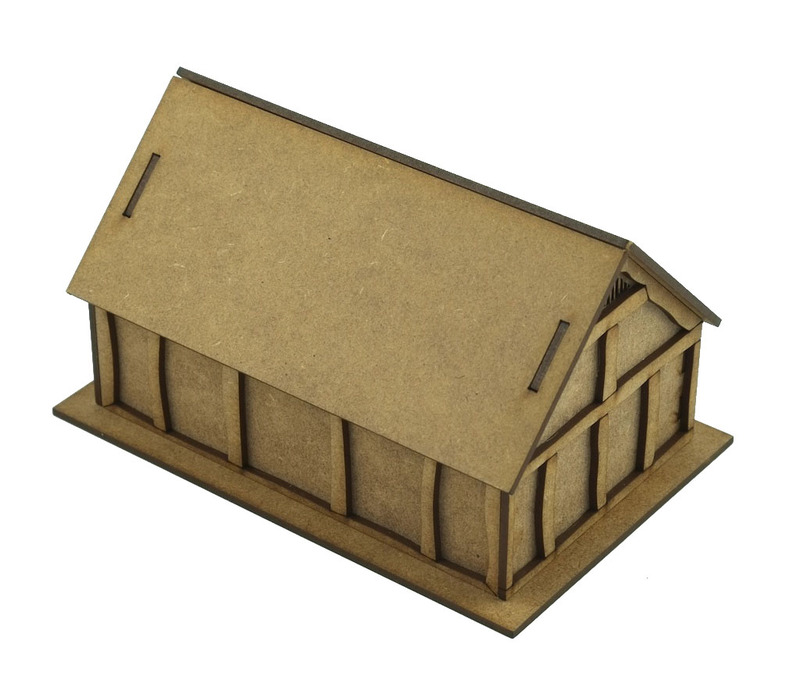 Timeline Miniatures laser cut MDF Anglo Saxon House/Workshop is precision laser cut from 2mm MDF and includes removable roof and engraved door details. This reconstruction is based upon archaeological evidence and therefore as true to life as possible. 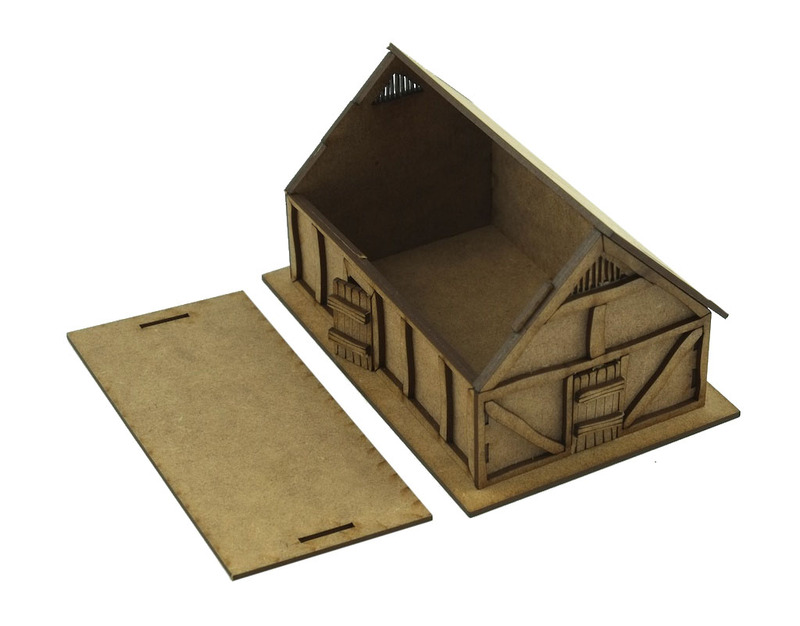 The kit is supplied complete with fur that can be used as thatch. The kit is 127mm x 80mm x 80mm high. This comes in a kit form and requires assembly and so you will need a knife or scalpel to release some parts. You will need to PVA glue the interlocking parts together and paint.